Performers include: Kevin Bacon, James Purefoy, Shawn Ashmore, Annie Parisse, Adan Canto, Kyle Catlett, Natalie Zea, Nico Tortorella, and Valorie Curry. This psychological thriller begins when a notorious serial killer, Joe Carroll (James Purefoy), escapes from death row. The FBI calls in former agent Ryan Hardy (Kevin Bacon) to consult on the case. Having since withdrawn from the public eye, Hardy was responsible for Carroll’s capture in 2003. Carroll had murdered 14 female students on the Virginia college campus where he taught literature. Hardy is a walking textbook of all-things Carroll and knows him better than anyone else. He may be Carroll’s only psychological and intellectual match. But the Ryan Hardy who broke the Carroll case years ago isn’t the same man today. Wounded both physically and mentally by his previous pursuit of this serial killer, it’s been a long time since Hardy has been in the field. Could this be his redemption? In contrast to the original investigation of years ago, Hardy isn’t calling the shots anymore. He works closely with an FBI team, which includes young, razor-sharp Mike Weston (Shawn Ashmore) and FBI Specialist Debra Parker (Annie Parisse), who’s brought in to lead the investigation into Carroll and his followers — serial killers that secretly live among us. Although Weston seems to idolize Hardy, most of the team considers him to be more of a liability than an asset. But Hardy proves his worth when he uncovers that Carroll was covertly communicating with a network of followers in the outside world. It quickly becomes obvious that he has more planned than just a prison escape. The FBI’s investigation leads Hardy back to Claire Matthews (Natalie Zea), Carroll’s ex-wife and the mother of their young son, Joey (Kyle Catlett). Close during Hardy’s initial investigation, Hardy turns to Claire for insight into Carroll’s next move. The tension rises when Carroll’s accomplices kidnap his intended last victim (Maggie Grace) a decade earlier. Hardy becomes ever more determined to end Carroll’s game when he realizes that the psychopath intends to finish what he started. The drama follows Hardy and the FBI as they are challenged with the ever-growing web of murder around them. It’s all orchestrated by Carroll who dreams of writing a novel with Hardy as his protagonist. Since anyone anywhere could be one of Carroll’s serial killer followers, Hardy and the FBI have a hard time knowing who they can trust. The FBI hunt for Theo continues and the stakes are higher than ever as some of their own come under attack. As suspicions rise, alliances are shaken and no one is safe in the series’ harrowing final heart-stopping moments. First aired: May 18, 2015. What do you think? Do you like The Following TV series? Do you think it should have been cancelled or renewed for a fourth season? 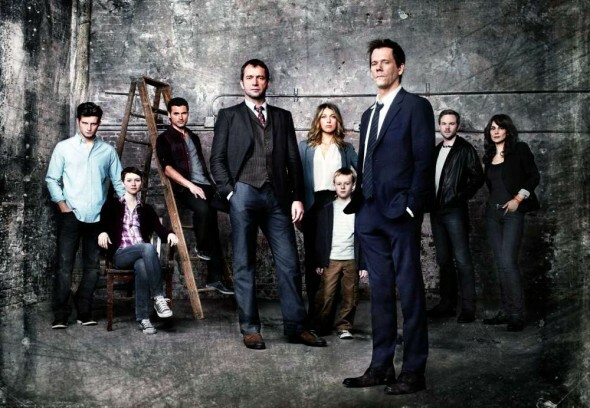 The Following: Is the New FOX TV Series Worth Watching? This show is amazing! I was on the edge of my sheet and hated the ending because there’s more to come. Please bring it back. I know a lot of people who want it to continue. The show kept me very interested all the way through. I feel as if every character was done very well. Would love to see another season or a Movie. The Following definitely had a following. This was an armchair-gripping drama with a storyline that many could believe as conceivably real-to-life and could easily happen. As with Hill Street Blues I will miss this mini-soap. I am also disappointed. I just started watching this show. This is the type of show I love to watch. Pity. Disappointed to see this show cancelled. One of the best I’ve ever seen. Riveting, non stop action… Couldn’t wait until the next episode. Such a shame. I want this show back!!! So much left to tell in this story line!!! At least one more season pleeeease!! !